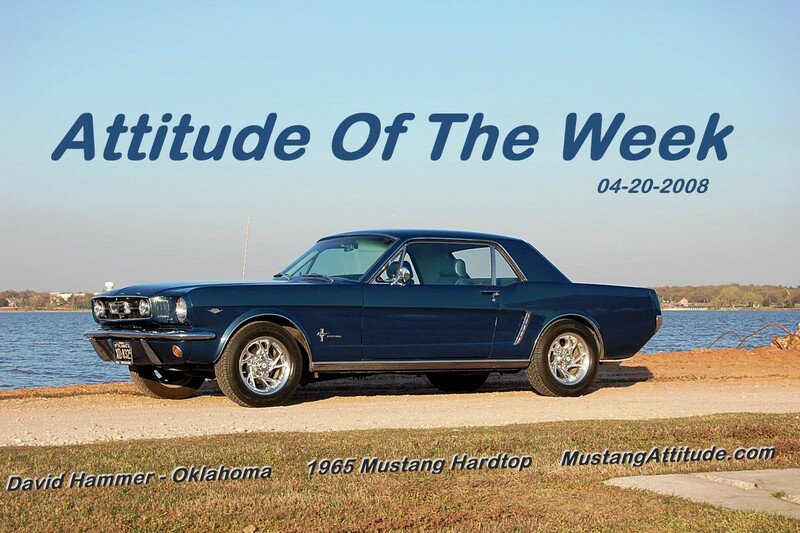 (from page 1 of the 1965 Collection) David Hammer sends us another shot of his Caspian Blue 1965 Mustang. This time, its in a field in front of a bucking horse. This was our featured Attitude Of The Week photo for the week starting 5-31-09. This is also our 9000th photo posted to the site! David took this picture in a town nearby called Mustang, Oklahoma. 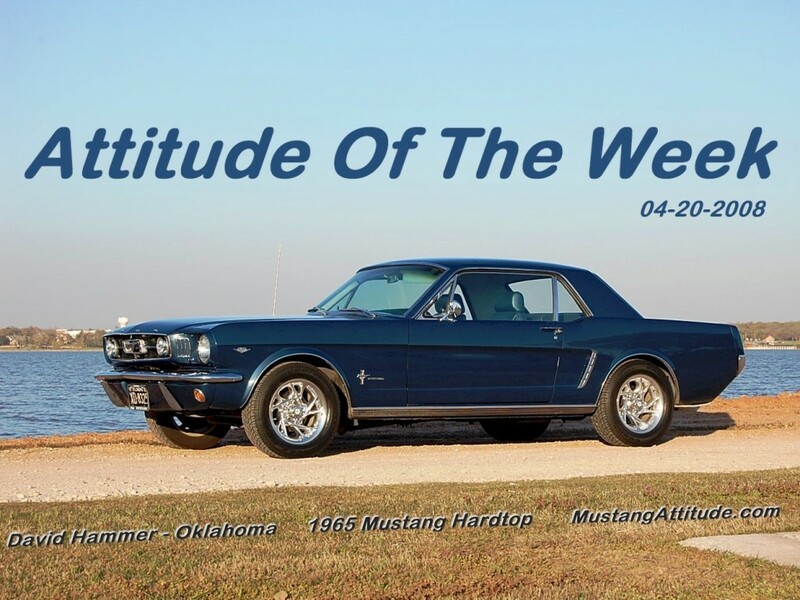 (from page 1 of the 1965 Collection) David Hammer's Caspian Blue 1965 Mustang Hardtop is our Attitude Of The Month for July 2009 which is also featured on July in our 2009 calendar. (from page 1 of the 1965 Collection) David Hammer sent a new photo of his car in front of the Mustang City Hall. The city of Mustang is located just outside Oklahoma City. (from page 2 of the 1965 Collection) Pearl White 1965 Mustang hardtop, right side view. (from page 2 of the 1965 Collection) Pearl White 1965 Mustang hardtop, left side view.